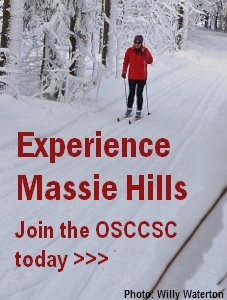 The Massie Hills trails were groomed and track-set this morning and are in excellent shape. 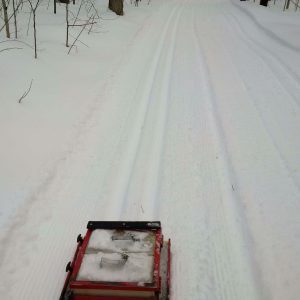 The trails were groomed yesterday morning and are in excellent condition. The snowmobile used for grooming and track-setting is experiencing some mechanical issues and will be going in for repair on Sunday March 10. We will have it back on the trails as soon as possible and will let you know when grooming resumes. The trails have been groomed this morning and are in excellent shape. Word from the trails is that the track-setting is going better than anticipated and the trails are in good condition. The trails have been groomed and track set this morning and are in excellent shape!